In *Gaudete et Exsultate* (GE 3-9), Pope Francis teaches us that the Saints now in God’s presence likely include people we know who ‘amid their faults and failings…kept moving forward and proved pleasing to the Lord’ . Ordinary men and women whom he calls, ‘the saints “next door”’, people living in our midst, reflect God’s presence by the very witness of their lives. Let us pray that we might be encouraged by their example, strengthened by their accompaniment, and ‘spurred on by the signs of holiness that the Lord shows us through the humblest members of that people’. Our families, relatives, community members and friends who have gone before us ‘preserve their bonds of love and communion with us’. (GE 3) and are never far from us. May all who mourn be comforted today in the knowledge that those who are dear to them ‘rest in the sleep of peace’ (EP 1). May all who have preceded us in death and all who sleep in Christ, ‘enjoy for ever the fullness of your glory’ (EP 3). May those who die today be welcomed ‘into the light of your face’ (EP 2). Mass will be celebrated at 2pm on Sunday, 11 November at MIC to recall the anniversary of the death of Catherine McAuley and to remember all those who have walked the path of Mercy. It will be followed by a ‘Good Cup of Tea’ in the Dining Room. The flyer and Mass booklet are linked to this item. (01) 661 8061, email or book in using Eventbrite. Editor: The United States mid-term elections will be held next Tuesday, 6 November. ‘Since our last national election, we have witnessed growing political divides, widening economic disparity, and increased instances of targeted discrimination across the country,’ write the Sisters of Mercy. A coalition of Catholic organisations, including the Sisters of Mercy’s Extended Justice Team, has created and endorsed a voter guide to help voters in the election preparation process. The guide may be of broader interest and use as the issues it addresses—such as Immigration and Refugees, The Environment —and the questions it offers for reflection, can be applied more broadly. ‘Not every new Australian trying to make a life in regional NSW has a Catholic nun with 60 years' experience with migrants and refugees looking out for them, demanding employers read a resume and “tormenting” people to grant an interview. Desperate to stop a young Sri Lankan family from leaving Bathurst because they can’t find jobs, 83-year-old Sister of Mercy nun Bernie Evens drove 22-year-old Devarani Rajalingam to a job interview an hour away last Friday. Water is becoming a private privilege rather than a community resource. Although a fictional story, *Brides of the Well*, a short animation, is based on the very real, interlinked issues of poverty, lack of access to water and child marriage. MESA is an international Mercy education system organized under the Public Juridic Person of the Institute of the Sisters of Mercy of the Americas. It holds a delegated governance role and service role for each Mercy education ministry individually and the system communally. Along with her daughters, the cailleacha, sometimes known as goddesses, the Cailleach, dropping huge boulders from her cloak created the world — mountains, rivers, wells, and megalithic sites such as the Hill of the Witch at Lough Crew…. The imagery of Great Creatrix is now represented as a terrifying Witch on her broomstick. Why? A selection of the sayings of Catherine McAuley (1778-1841), including a reprint of the 1868 publication of her ‘Practical Sayings’ by Mary Clare Moore, London. An important publication for every Mercy library. The Library section provides access to all the resources on our website, including some of the ‘Further Resources’ included each week in MercyeNews. There are 9 members of the MIA Board and the Company Secretary, Mary Reynolds rsm, CEO MIA. Learn who they are and find out their particular skills and experiences. The Board will meet in Dublin this coming weekend, 2-3 November. Please keep them and their deliberations in your prayers. 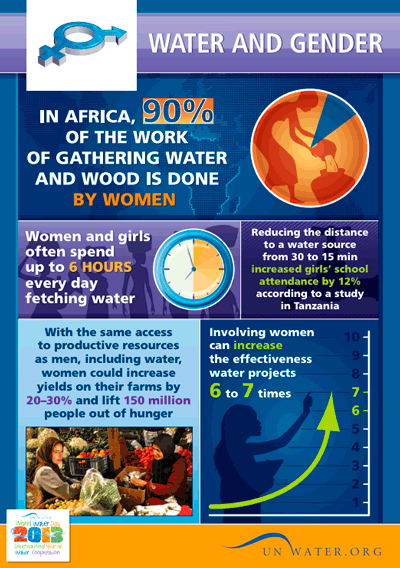 According to global estimates from UN Water, water projects become six to seven times more effective when women participate. A new version of the Counter Trafficking Data Collaborative (CTDC) has been released, now featuring data on over 90,000 cases of human trafficking and new data visualization tools. CTDC is the first global data hub on human trafficking, with data contributed by organizations from around the world. The presidents of Bishops’ Conferences on every continent have called on politicians to work towards an ambitious implementation of the Paris Agreement. They ask for COP24 to prove a milestone in the path set out in 2015 in Paris. Nowhere to Call Home explores the human issues around climate change and forced migration. Photographic and filmed portraits of climate refugees from Bangladesh and Sami people from the Arctic, whose way of life is threatened by climate change, have been captured by the Environmental Justice Foundation, with their stories told as audio dramatisations by playwright Ursula Rani Sarma. In a letter addressed to young people of the whole world, the Synod Fathers invite the young to “be a brighter future”.